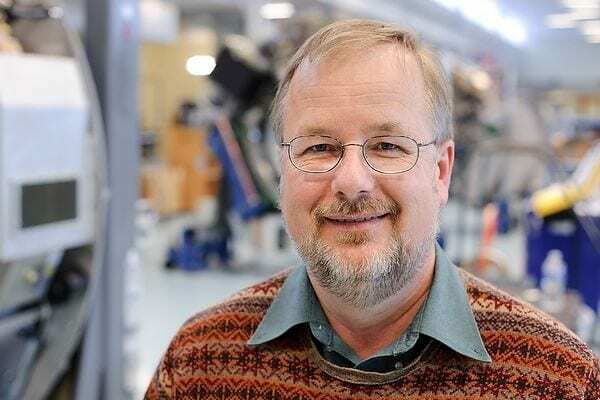 MADISON, Wis. – Dr. Rock Mackie jokes he is a “reformed academic,” having spent much of his career as a researcher in medical physics and oncology at the UW-Madison. He’s also an entrepreneur who has helped launch companies such as Geometrics, TomoTherapy, SHINE Medical Technologies, HealthMyne and more over time, making him something of a rarity among faculty due to his knack for understanding and acting on the business side of innovation as well as the scientific. Today a professor emeritus, Mackie is determined to help others like him while advancing the cause of fostering more health-related startups in Wisconsin. Mackie, who spoke Tuesday to members of the Wisconsin Technology Council and the Wisconsin Healthcare Business Forum, is the first “chief innovation officer” at UW Health. It’s a role that puts him at the center of an innovation plan designed to wring more commercial ideas and startups out of health research at UW-Madison. With hundreds of millions of dollars in health-related research each year, that might not seem like a difficult job. After all, the UW-Madison ranks sixth overall among U.S. universities in research spending and much of that is centered in life sciences. Compared to other academic research leaders, however, the UW hasn’t fared as well in turning that research into products, services, companies and jobs. Mackie believes it’s a matter of providing support to faculty and students who may be brilliant scientists, but neophytes when it comes to setting up channels to put their findings to work. “Project management is something most academics know nothing about,” Mackie said, because it’s not part of a classic academic setting or culture. Through what has been named The Isthmus Project, Mackie and others connected to UW Health will offer a set of coordinated services to innovators in the healthcare space. Those include evaluating innovative concepts, providing project management support, coaching entrepreneurs, connecting innovators to bigger networks, navigating regulatory channels, connecting to legal support, developing a marketing plan and providing links to potential funding. Two startups are already in the pipeline. The Program for Advanced Cell Therapy is developing methods to protect patients with weakened immunity systems, among other things, and ProMaps is focused on solving the growing problem of physician burnout caused by hard-to-navigate electronic medical record systems. In some ways, Mackie said, physicians can pore through paper charts more efficiently than electronic records because the digital charts are typically are not organized according to diseases. Other projects under consideration include a new treatment for late-stage cancers such as prostate cancer; assessments for birth marks that can sometimes give rise to cancer; new scanning techniques for sports-related traumatic brain injury; transitional care for people leaving hospitals or going into nursing homes; and surgical coaching. Mackie explained that “hands-on” coaching is a better fit for most surgeons than traditional continuing education classes. While not a part of The Isthmus Project, Mackie noted that efforts are underway to improve the clinical trials process at UW-Madison, which has been a source of frustration for some young and even mature companies over time. As if to reinforce his point about being a “reformed academic,” Mackie said The Isthmus Project has another goal in mind: Better positioning Wisconsin to compete economically. “We should not be afraid to say we want to improve the economy of the state,” Mackie said. That might get him thrown out of some academic clubs, but it speaks to the promise of better capitalizing on inventions and discoveries at the UW-Madison by helping those innovators not get tripped up by process. Great ideas are there; setting them up to succeed is the challenge.